Will Trump’s JCPoA Decision Affect U.S.-Saudi Nuclear Talks? The U.S. is hoping to position Westinghouse among the shortlist of candidates to contend with other exporters of nuclear technology, including South Korea. Yesterday, a senior executive at engineering giant Bechtel told CNBC that U.S. businesses should be involved in Saudi Arabia’s civilian nuclear energy ambitions. 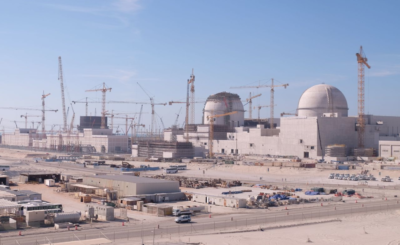 The UAE’s nuclear power plant, under construction. “Given the Trump administration’s claim to have left the Iran deal based on nonproliferation concerns, it now has leverage to apply the same policy to Riyadh,” Kane and Ramjee write. 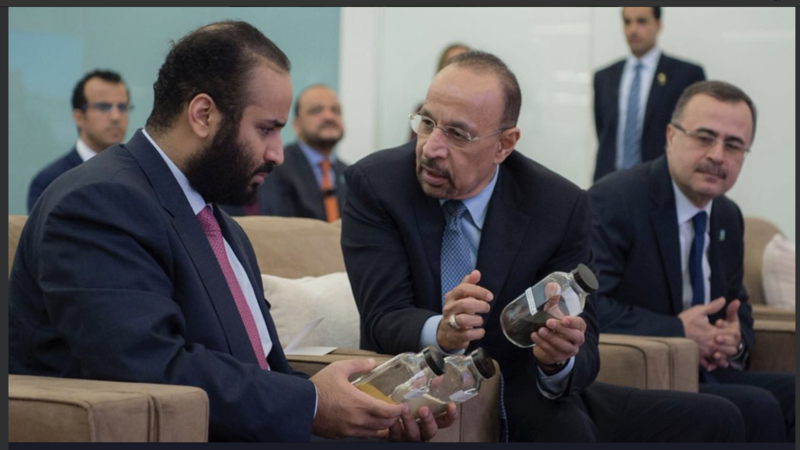 But emphatic Saudi public statements stating the Kingdom’s outright intent to develop a nuclear weapon if Iran reaches that step greatly complicate American hopes to participate in the construction of Saudi Arabia’s first two nuclear reactors. On Wednesday, Congressman Ami Bera (D-CA) pressed Energy Secretary Rick Perry on Saudi Arabia’s nuclear ambitions and his Department’s plan to stop nuclear weapons proliferation in the Middle East. Secretary Perry committed that the U.S. would seek “an acceptable 123 [agreement] with additional protocols” that ensures Saudi Arabia only uses nuclear energy for peaceful purposes. Secretary Perry also said that if the Kingdom does not sign a 123 agreement with the U.S., “the message will be clear to the rest of the world” that Saudi Arabia is not concerned about being leaders in nonproliferation. Congressional concern that Saudi Arabia would ultimately use U.S. technology to pursue a nuclear weapon is the greatest threat to a potential 123 agreement between the U.S. and Saudi Arabia. In an interview with the Atlantic in April, Crown Prince Mohammed bin Salman said the Kingdom would indeed build its own nuclear weapon to check Iran, should Iran reach that step. President Trump’s decision to withdraw from the so-called Iran deal may provide a pathway for Iran to become a nuclear power. Saudi Arabia’s foreign minister Adel Al-Jubeir reiterated that the Kingdom would seek a nuclear weapon if Iran had one. Asked whether Riyadh would “build a bomb itself” if Tehran seizes on Washington’s withdrawal from the 2015 Iran deal to resume a nuclear weapons program, Mr Jubeir said: “If Iran acquires nuclear capability we will do everything we can to do the same.